hope & salvage: Paint minus the "t"
This post contains graphic descriptions of things unrelated to anything involving wood construction or painting. It does pertain to rebuilding in the ortho-integumentary sense. 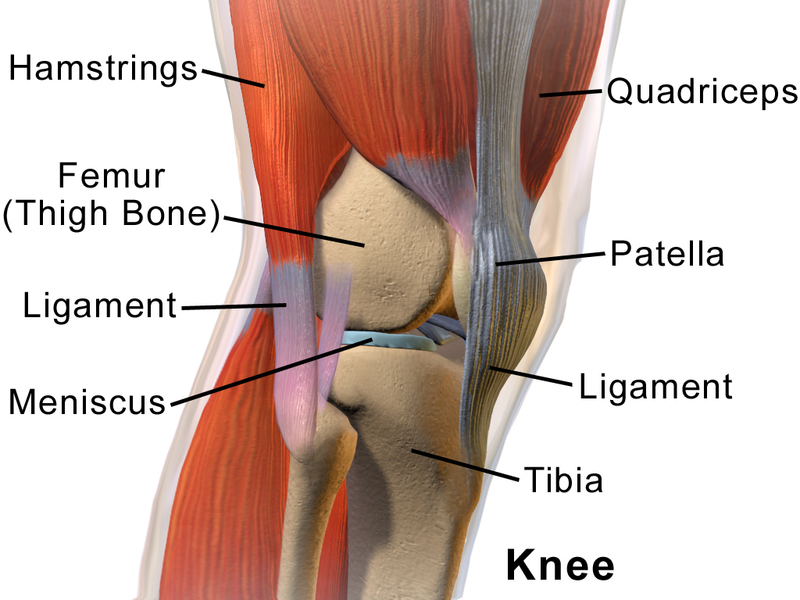 According to Wikipedia, the knee joint, joins the thigh and the leg on two separate articulations, one being between the femur and the tibia, and the other between the femur and the patella. It is the largest joint in the human body. Some males might disagree, but they are not party to this post. Wiki further states that the knee joint is "vulnerable to both acute injury and the development of osteoarthritis." So, so true. I've known some physical pain in my life. I'm sure others have known greater, and I defer to that. I have never been struck by a train, fallen from an airplane, had a heart attack or a stroke, or crashed a motorcycle with my face. I have however, had 4 impacted wisdom teeth (each with 5 roots) pulled at a single sitting. "Tooth hurty." I've given birth to 5 of my 7 children without anesthesia, the last being an eleven-plus pounder, in 2 pushes. "Child's play." At 7 months pregnant with my 4th child, I stepped onto a ladder at 2nd floor level that became airborne, and landed on my head and spine. "Two months of mental illness and a healthy nine-plus pounder (three pushes)." I tore my medial collateral as the anchor in a tug of war. "Three months in a leg immobilizer..." I had a swath of BC removed and the 6 week daily radiating of that quadrant. "The cure was worse than the disease...think seared raw steak." THEN, I had 3 knee injuries in less than a year that left me barely able to walk. "Think crawling on broken glass." The MRI showed, end stage osteoarthritis and macerated meniscus. "That is equivalent to chewing a piece of meat, and its texture just before you swallow." During that time, I've said "Oh my Jesus" more than a thousand times a day. Not every doctor softens to crying and begging for a new joint. And NOW I UNDERSTAND WHY! Knee replacement surgery is not for the faint of heart. Nor for the weak kneed, or people addicted to easy times. It is the DEVIL. My daughter, Bethany described me afterwards as "Doing Awesome". I rather think of it as "Some kind of Shock and Awe." It's brutal! After 28 days, I was waiting for the bad times to get better, but oxy and its kin only provide so much relief. People ask, "When are you having the other knee done? Do you ask a woman on a birthing table after she's just delivered, when is she having her next child? I have learned to sleep when sleep comes, rather than expecting it throughout the night when phantom pounding radiates throughout the leg. The leg must have a good memory of sawing, chiseling, hammering and sewing, and wants that recollection kept. My range of motion numbers are good, and my physical therapist is a bulldog. I will eventually find a place where this procedure seemed like a good idea. I know that my past labors' pain gave me fruitful produce. I hope this follows suit. I have many people to thank for their help during this adventure. First, God, of course and the many people that prayed for my full recovery. My orthopedic surgeon, his staff, the great nurses, therapists, cleaning people, food servers, roommates and aides at MetroHealth Medical Center, my neighbors and friends who brought me meals, took in my mail, and cut my grass. Thanks to my children who kept vigil, bought groceries, built handrails, took down doors to accommodate walkers, hooked up showers, cleaned my house, picked up prescriptions, and drove me to therapies. To my sister, Therese, who trekked from Maryland to feed me, launder my belongings, beautify my yard and take me along so she could partake in Michael Symon's Lola. I appreciate it all immensely. I'll quit whining now and have some "T"ea with my pain. Awe LaVerne, that is awful. God bless all your family and friends for stepping up to the plate. Here's hoping for some relief soon! Take care my friend! Thank you Karen for your good wishes, now and before. Sometimes, just venting, is a step to healing. So sorry that you are going through all this pain, La Verne. Prayers for faster healing. Oh, I hope you heal quickly! I am sorry you have been having so much pain, I will keep you in my prayers! Thanks, Mindi. It is better already just to know I'm thought of and prayed for.